5 YEAR FULL WARRANTY ON THE LG-3000! 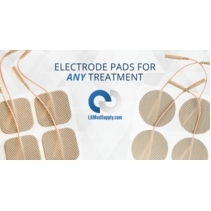 LGMedSupply's LG-3000 Professional TENS Unit works with up to 4 Electrode Pads to provide fast pain relief on areas you need it most. Whether you have acute pain or chronic pain, the LG-3000 can make a huge difference in the quality your life. 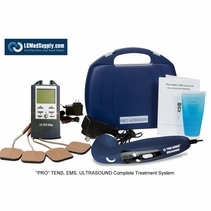 The LG-3000 TENS Unit is FDA approved device with 3 proven treatment modes. The LG-3000 is super small, lightweight, and easy to use. You control the settings and intensity. 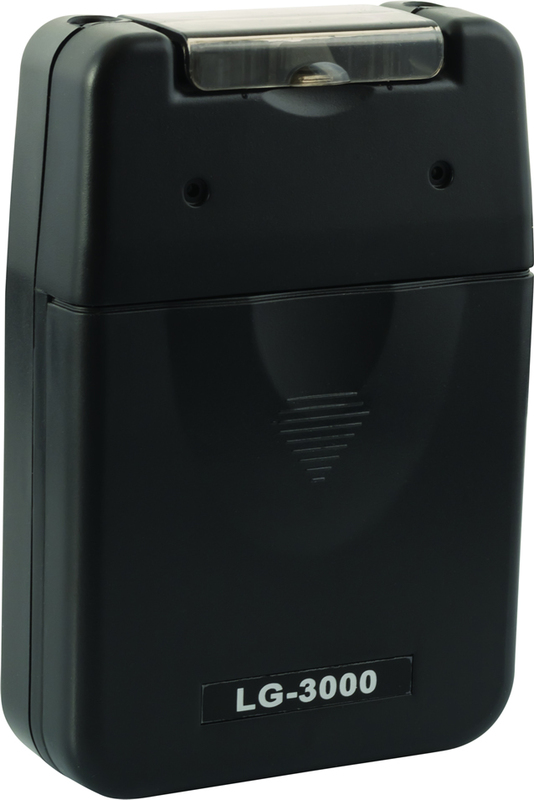 The LG-3000 is battery operated, small, and easily portable. It has a belt clip for easy portability and a cover to keep the settings from being bumped accidentally. Attach the portable TENS Machine to your belt or put it in your pocket and use as much as you would like. 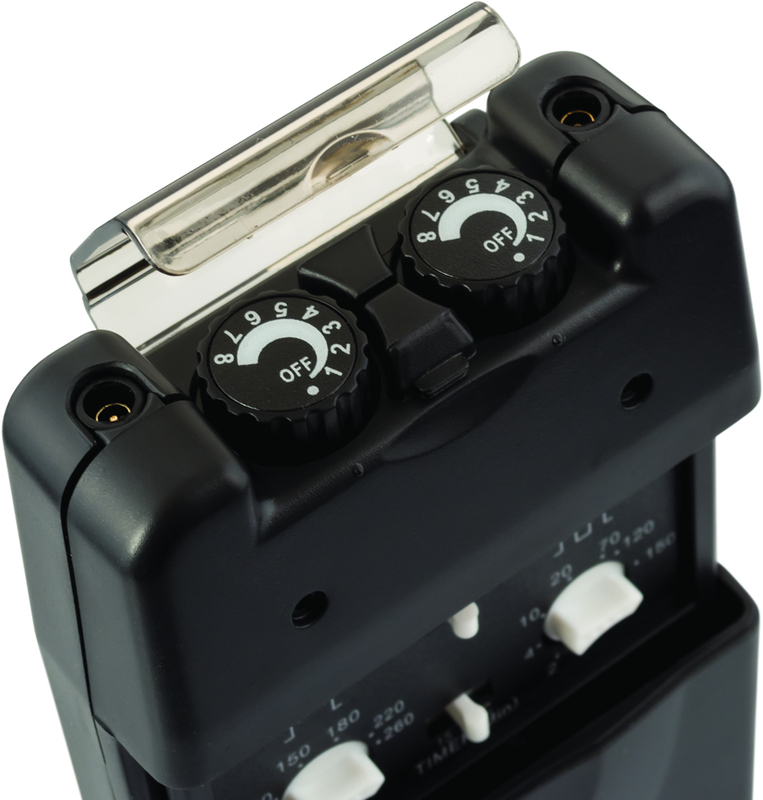 The LG-3000 is powered by a 9 Volt Battery (included). The LG-3000 has an unmatched 3 Year Warranty and 100% Satisfaction Guarantee. It comes with a Quick Start Guide (in English) and Instruction Manual. TENS Machines are used to relieve acute and chronic pain including and not limited to the back, foot, shoulders, neck, ankles, etc. 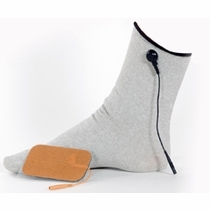 The LG-3000 relieves pain by overriding the pain signal to the brain through tiny electrical impulses. 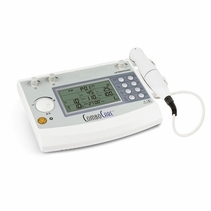 The best part about using a top quality TENS Unit is that the results are IMMEDIATE. It is very simply and easy to use. 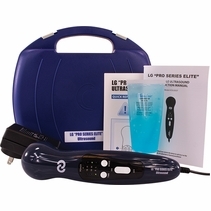 For a quality, affordable, brand name TENS Unit look no further than the LG-3000. We back up our medical grade units with a 5 Year Warranty. The LG-3000 is in-stock and available for immediate shipping. Have questions choosing a unit or using a unit? Order online or call us at (888) 633-7360 and our representatives are always happy to assist. Optional Items: Conductive Electrode Prep Spray (prolongs electrode life), Recharger and Rechargeable 9 Volt Battery, and Extra Electrode Pads. Battery and Recharger a 9 volt battery and charger which will allow you to get the most our of your TENS Unit and save you money in the long run. 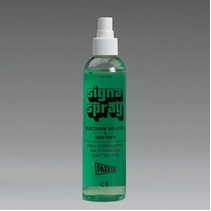 Great 5 One of the best products we have used. Great pain relief! 5 Helps with the pain! Easy to work and really helps on my bad days. Pros:Easy to bring places with the nice carrying case. Provides nice relief. Perfect for my needs... 4 After looking at many reviews re: tens units- I ended up purchasing this one. I am very happy with it so far. I have only had it one month. It's surprisingly strong depending on your setting. i was hesitant buying it due to the price as you always hear "you get what you pay for..." but in this case I am very happy with the unit. It does exactly what I was hoping for. Pros:Great unit, exactly as described. Price is affordable. Cons:None so far but have only been using one month. TENS Unit 100% 5 My chiropractor recommended I get my own portable, inexpensive TENS Unit. I found your product fit all those requirements and relieved my pain as if I were in the Drs. office. Thats a win win. Pros:Easy instructions, portable and allows me to be mobile. Cons:No information on how to travel through airport security with it. professional TENS machine 5 Great little machine. 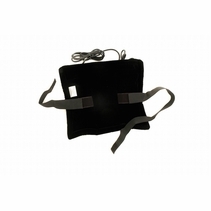 Easy to operate and for a first time user it does in fact, help with back pain. great product 5 The cost of the product made me think it was not very good at relieving pain. I was totally surprised at how strong it was. I like that it is easy to work. I would recommend it to anyone. Cons:pad could be a slight bit bigger but they do work well. 5 I have used my tens unit since I injured my back in 2008.I used it before and after back surgery in 2011. Since then I have purchased one for each of my four adult children to use for sport and chronic back injuries. Needless to say we think they are great! There are days we could not have gotten out of a chair without this great little machine..
5 This was an awesome video! Thank You so much for the explanation! I needed to understand just what he explained so simply & thoroughly! 5 This TENS unit is pure gold and absolutely beautiful. I have chronic pain in my right knee and shoulder, and it helps BEAUTIFULLY with both. I have gout and if I have a very mild case, it makes it tolerable without narcotic intervention, which is a HUGE blessing. I've had mine for about four years or so, and it's lasted wonderfully. Note: I use rechargeable batteries in mine. I suggest you do the same. 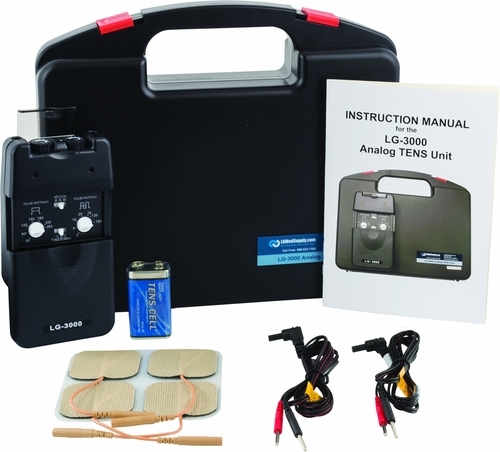 5 Ems/tens units are a cost effective,efficient way to lessen your pain. They are comfortable because the intensity can be set to your needs or to where it feels good/I prefer a higher/buzzing feeling to numb the pain. 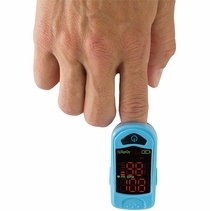 As another consumer said the ems/tens units do not fix the skeletal problems but they are do aid with pain relief. Ems is also effective st stimulating those small stabilizer muscles that are almost impossible to target with other methods. Bruce Lee was the innovator of ems for muscle strengthening though it is sometimes credited to others. With my severe herniation and severe lumbar stenosis Chiropractic manipulation is not an option,ems is a way to get through severe pain. Be wary of Chiropractors manipulating/adjusting your spine without an MRI,I have personally been laid up for 6 months due to Chiropractic manipulation.Other times I felt as if I could do backflips from proper adjustments,please be careful. Chiropractors and pain management doctors push EMS on patients when it can be done in the comfort and privacy of your home. A great way to get through until a solution to the main problem can be found or the proper physician located. EMS combined with Disc decompression is the best at home medicine available and just a few treatments from a Doctor can easily run up or the cost of both Units. A way to relax in preparation for EMS is to apply a hot,wet towel to the affected area for 10-15 minutes,use a microwave and when your EMS treatment is finished you will feel much better for hours. Highly recommended. 5 I've tried several tens units and this is so far the best one. I take it with me everywhere I go. It has literally saved my life. It doesn't fix the main problem but it's the best band aid you can put on it to make life livable. 5 I bought one of these units several months ago as it was recomended by my Dr. It has helped me so much that my daughter bought one and I ordered a second unit for myself as a back up unit "just in case" since I doubt I could function much less keep working without it. 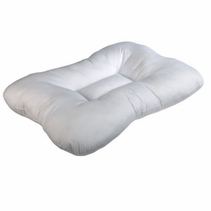 I have svere RA and this is the best thing I've ever tried for coping with the pain and stiffness. THANK YOU, for making such a reliable and inexpensive unit!!! 5 I want to start out and say I had to dig out my Dr. Ho's Muscle Massage unit from many years, that I bought, & after a couple moves, Thank goodness I found it. It's an older version of the newer line now. And after suffering since Jan 28th with extreme pain, in the lower back, walking while bent over, & hard to stand from a sitting position, is painful, as well as standing, in one spot.Not knowing what the problem is, going for an MRI, on Feb. 28th. 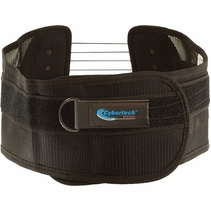 But I hav to say, even this older model is such a relief, when I use it on my back, it really does relieve the pain. It makes you feel like I never want to turn it off. It melts away the pain! I just looked up, this web-site, & seen all the new models, & thinking of maybe trying the LG3000, out with 4 pads, next month. More people going to chiropractors, & after an accident I was in, that's all they did for me, & charged a huge bill by using exactly what is being sold here! If more people knew they could use the same treatment at home, & own it, the chiropractors secret would be out! Keep up with the best invention, you'd want to own! THANKYOU, it's amazing! 5 i bought my ten's unit in august 2010, i love it! when i am using it, it is the only time i''m not in pain. when my pt people recommended that i get one, i looked long and hard for one, and decided to get the lgmed 3000. i';m so glad this is the one that i got. it fits nicely into my laptop case. goes on the plane with me, and it travels well. 5 This is a great company, my unit came in a couple of days, and what relief, I'm not in back pain anymore, it is a great unit. 5 This is the unit that I have LG 3000. you can pass that on if you like......it has very good recommendations. God bless you, and may the LORD use your compassion, your concern and your prayers to ease Randy's pain. 5 Love this unit! It is so handy and works very well. Have shared with friends and they say the same thing! 5 I've had sciatica resulting from chronic bursitis and osteoarthritis for 7 years. I got my unit last week and haven't felt this good in ages. I also love that I can wire up, throw it in my pocket and walk the dog for over an hour, and only have to adjust a dial slightly to keep going. 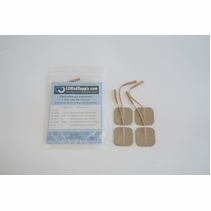 I ordered tons of extra conductive pads already. A true life changer! No pain meds besides nsaids this week! 5 This is the machine I use - can't hurt to give it a try and can always return it. Some are more expensive but this seems to do the trick. 5 Fast shipping! Have had the unit for a week. What a wonderful help. Seems to be melting away a month long, ever increasing and painful, bout of bursitis. I am delighted at the releif that the Tens is providing for me. I so appreciate my Tens unit. 5 I have a bone disease and generative arthritis in both knees and a hip. I've worked hard to keep my mobility and as time is marching on the pain has gotten worse. I was faced with going on some true pain medicatins, which can cause many side effects and shortens one life span. I decided to wait and try a tens unit and the doctor explained it might not work and even if it did i was only preventing the inevitable. Well, it has worked quite well for me and i have put off pain meds once again. A quick 30 minute session when things get really bad and i am able to get going again. And the best part, is at night before i go to bed a quick 30 min for my hip and i am able to sleep again! I can't say enough about it. 5 It works !!!! I really wasn't expecting this much relief. I'm delighted. It's in my pocket and set for 30 minutes. Sitting here at this computer tonight is the first time in a long time, that I get relief just by turning on the Tens. 5 These guys are GREAT and I would highly recommend them to anyone needing a TENS unit! 5 This is a great product! It is very easy to use. The different adjustments make it easy to fine tune it to suit your need. Be sure to read the instructions before you use it so you know where you shouldn't put the pads. And you might want to pickup some extra pads too; because the unit only comes with 4. I use my Tens at least 3 times a week for muscle pain relief. No sports person should be without one!